A man has been arrested on suspicion of trying to steal – the MAGNA CARTA. The suspect is said to have attempted to smash a glass box surrounding the priceless 1215 document at Salisbury Cathedral. Staff were alerted after an alarm sounded and Wiltshire Police were called on Thursday afternoon around 5pm. A 45-year-old man was arrested shortly afterwards on suspicion of attempted theft, possession of an offensive weapon and criminal damage. He has been taken to Melksham custody for questioning where he remains. 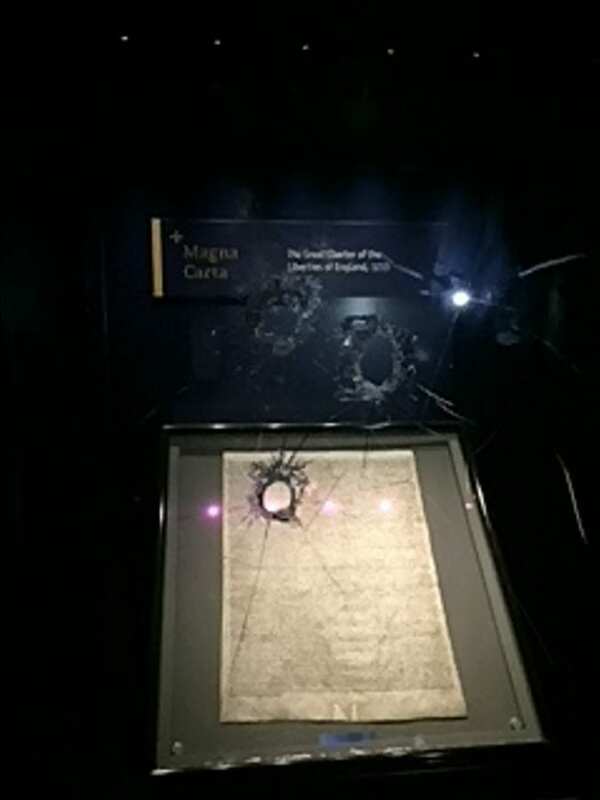 Wiltshire Police said the Magna Carta has not been damaged and nobody was injured in the incident. A spokesman said: ”A 45-year-old man is in custody this morning arrested on suspicion of attempted theft of the Magna Carta. 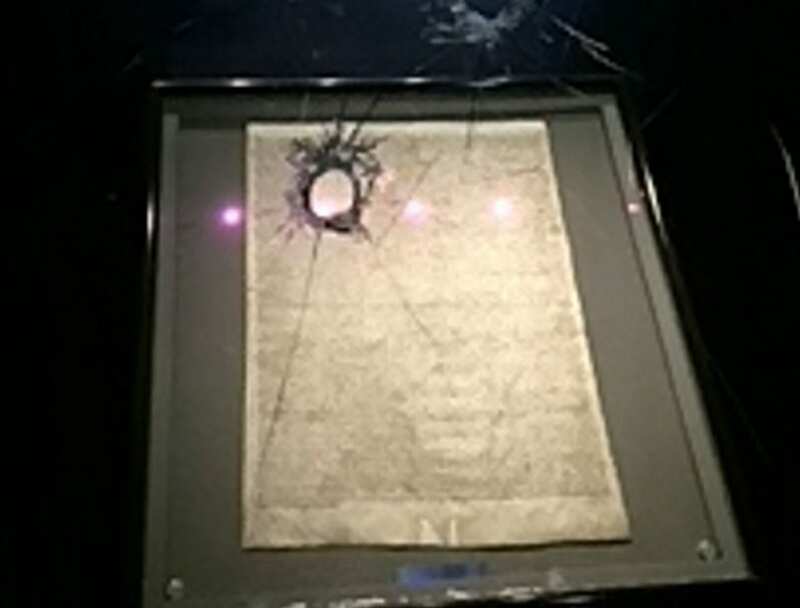 ”Shortly before 5pm yesterday (Oct 25) alarms were activated at Salisbury Cathedral after an attempt was made to smash the glass box surrounding the Magna Carta. ”Staff were alerted and police were called. ”A man matching the description given by witnesses was arrested on suspicion of attempted theft, possession of an offensive weapon and criminal damage, and has been taken to Melksham custody for questioning where he remains. ”The Magna Carta has not been damaged and nobody was injured in the incident. The Magna Carta, Latin for Great Charter, was brought into law under King John of Runnymede on 15th June 1215,. It was credited as being one of the first documents to limit the power of the crown. The charter was imposed upon the king by a group of his subjects, the feudal barons, and limited his powers on the likes of punishing a “freeman”, unless through the law of the land. But the document didn’t last long, with Pope Innocent III annulling it in August 1215, because it was a “shameful and demeaning agreement, forced upon the King by violence and fear”. After King John died, his successor Henry III thought it was a good idea and brought it back. Three clauses of the 63 are still in force today – freedom of the English Church, the ancient liberties of the City of London and a right to due process. It was written in Latin by hand, by an expert scribe, on parchment. The Magna Carta was not signed, but sealed, and at the bottom of our Magna Carta you can see the marks where King John’s seal was once attached. There are just four remaining copies of the Magna Carta. Two are kept in the British Library, one is in Lincoln Cathedral and one at Salisbury Cathedral, which is the best preserved manuscipt.